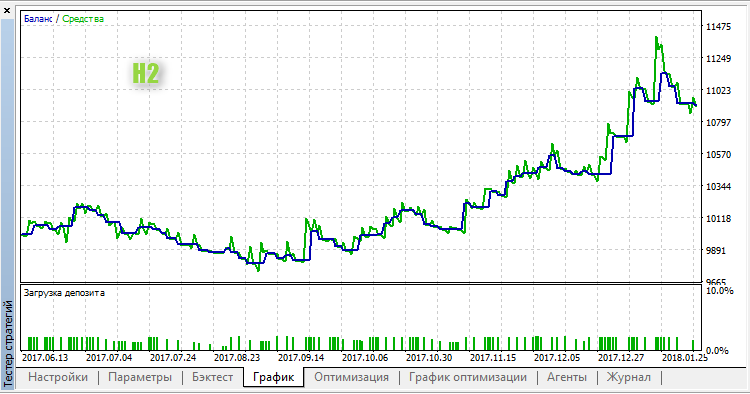 The author of the idea: Scriptor, the author of the MQL5 code: barabashkakvn. 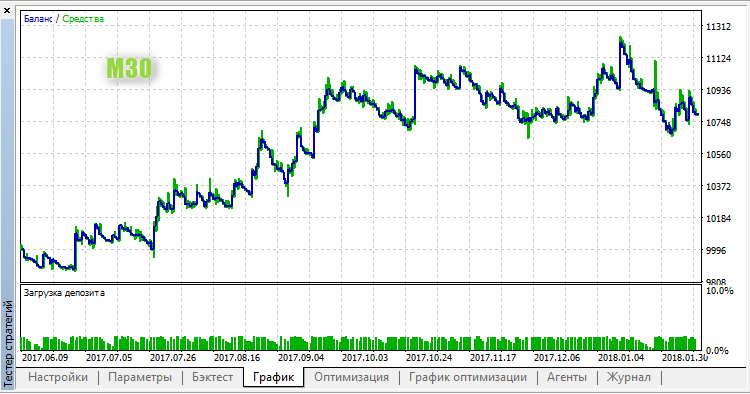 The Expert Advisor uses the iFractals indicator signals to place pending Buy Stop and Sell Stop orders and trail the Stop Loss levels of positions. A condition to place a Buy Stop order occurs when there are two upper fractals, of which the last formed one ("Up youngest") is higher than the previous fractal ("Up middle"). Stop Loss of a Buy Stop order is set at the latest lower fractal ("Down youngest"). 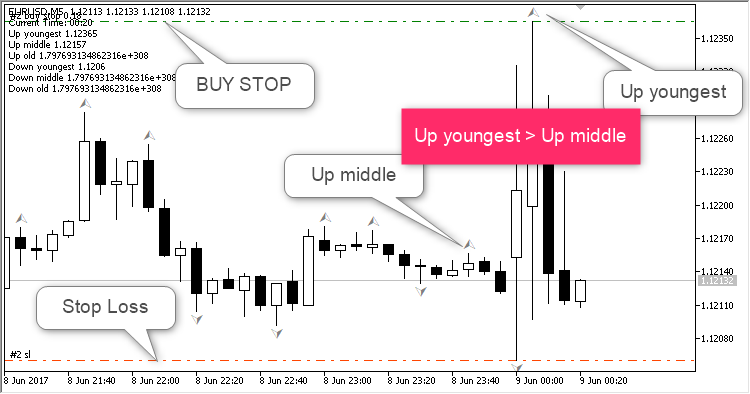 Then, Stop Loss of a Buy position is trailed based on that "Down youngest" fractal. Conditions are opposite for Sell orders and Sell positions.